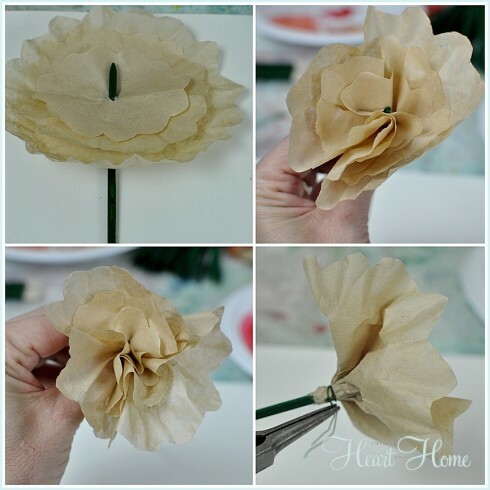 UPDATE>>> I added a Youtube video tutorial for these Coffee Filter Flowers – it’s at the end of the post! Happiest Tuesday sweet friends! 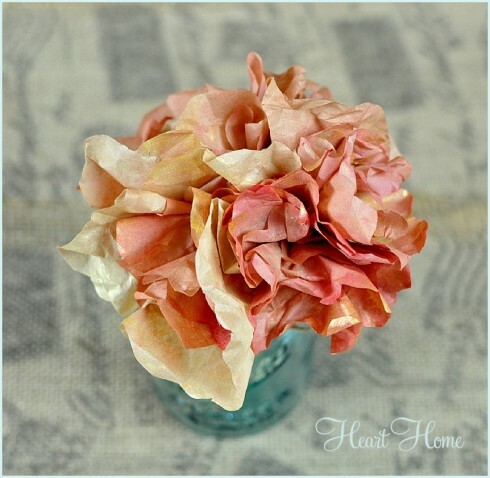 I’m making Coffee Filter Flowers today and I wish I could give each of you a tiny bouquet! 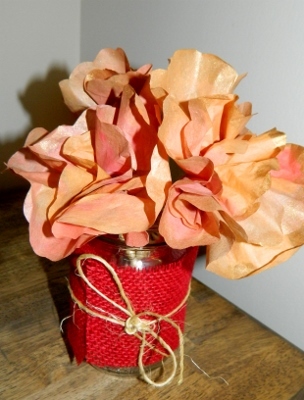 They’re so easy, if you aren’t crafty but maybe you’d like to be, ya gotta try this ever-so-easy project! 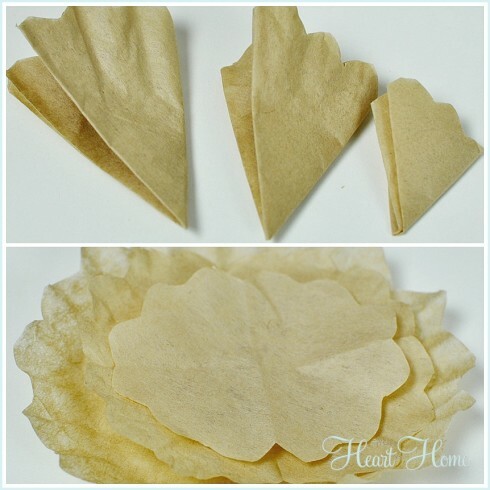 And just a word about natural coffee filters…these little guys are GREAT! They’re a beautiful, soft color right out of the package. Take one and scrunch it up …now un-scrunch and flatten it, now press your hand on the paper and just feel it. The texture is divine. 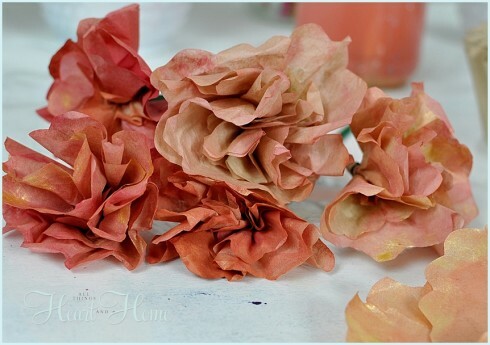 There are so many things you can do with these super cheap paper filters! 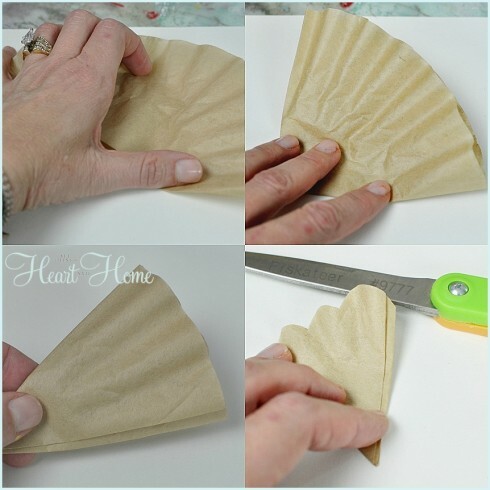 Take a filter and fold like the first 3 photos below, until you have a cone shape…Now cut little scallops in your cone. Do the same with 2 more filters but cut different sizes when you cut your scallops. You’ll end up with a small, a medium and a large scalloped cone! Now unfold these little wonders! Pinch the papers together underneath the flower…now, turn and continue pinching…can you see your flower blooming?! 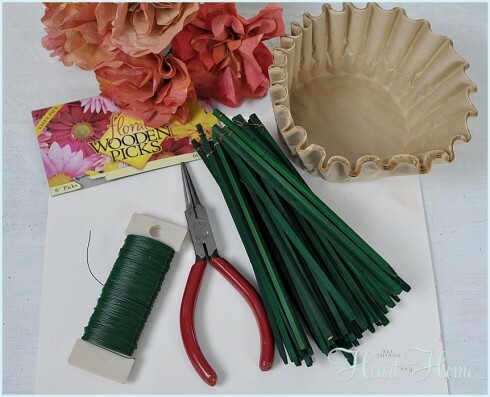 Now, cut a section of floral wire and wrap around the pinched paper under the flower around your stem…twist to secure the wire and trim. 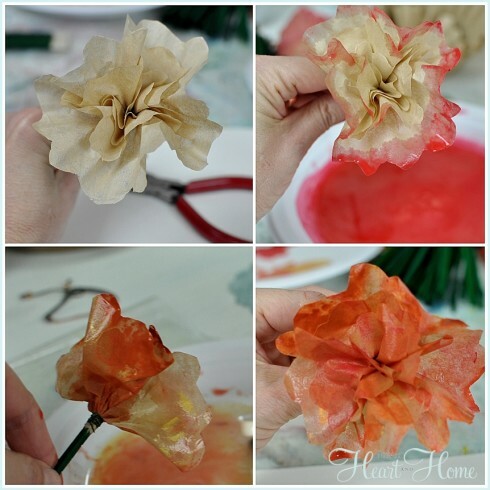 The first technique was on the already made coffee filter flower…I used very watered down paint (in paper bowls) in red, orange and metallic gold…I simply dipped the tips of the flowers in the watercolors and let the watery paint soak (just a little) into the paper to tint the flower…I dipped 1/2 the tips in red, then the other 1/2 in orange and then dipped some of the tips in the watered down metallic gold! 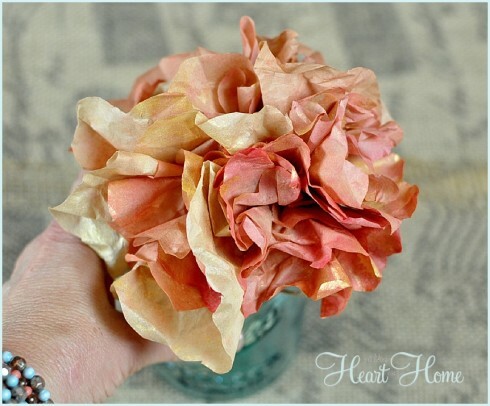 Here’s the second way to add color to your flowers…Add the color before you put the flower together. After you’ve cut scallops in your 3 cone shapes…unfold the cones and dip the tips in the very watered down paint colors. I overlapped the colors and when I lay them out to dry I added a bit of metallic gold to the tips with a paintbrush. 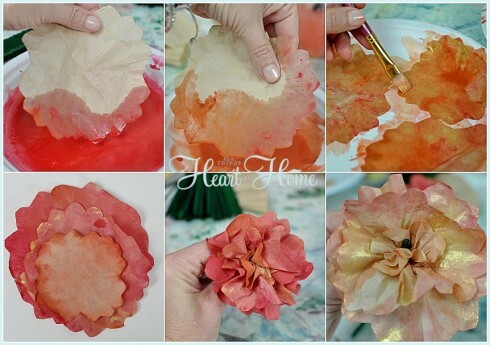 Let the papers dry then follow the directions to make your flower from the already watercolored paper! I actually found the second technique was my favorite. The flowers turned out the most beautiful colors …don’t they look like fall? My friend Cindy sent me a photo of her flowers! If you do this project would you shoot me an email with a picture? I’d love to put it up here! I’d love to see your flowers if you make ’em! « Monday Funday! 6 Blogs.1 Link. A Whole Lotta Fun! So pretty- I think I NEED to try this today! Hope you are doing well- I still have your box ready to mail- I will get to the po. 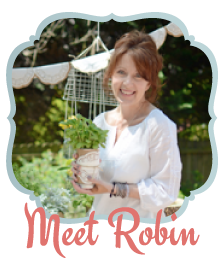 So pretty, Robin. They look like hydrangeas! I am amazed–as I always am–by your blog ideas. These are just so beautiful! 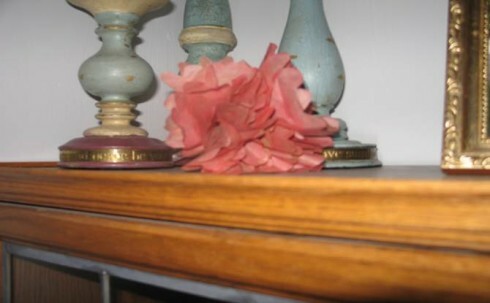 I could see your paper flowers in a wedding!! I really could. If you had white ones you could tea stain them and tip them with color. The natural ones are very pretty can’t wait for the surprize! I love the colors you chose. Very pretty! 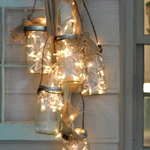 So pretty I will try this project for sure! I love your flowers, they are so beautiful. I don’t know where i can buy the natual coffee filters. I guess i will keep looking for them. Thanks for the ideas! How do you let them dry in the second technique? I would think if you lay them flat they would stick to whatever they dried on and then tear being paper and all.. 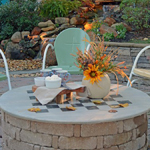 This is a project that I will definitely be trying! Looks simple, but a lot of bang for the buck, as you said. 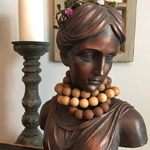 With all the lighter and softer colors in the house now, I am thinking this will allow me to create something where I control the color – and don’t end up with just the standard orange, gold & red that sells in the stores this time of year. 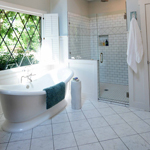 Perfect solution for those of us who want a more “filtered” hue!!! Thanks for the great idea Robin..I made some this afternoon! They were fun to make and look great. I’m going to try some more with varying the shades of the colors, I think I went a little heavy on the gold 🙂 I plan on giving the first group to my daughter to dress up her thrift store counter. .Have a blessed day! Love the video! I got my stuff today so I’ll post a photo soon. 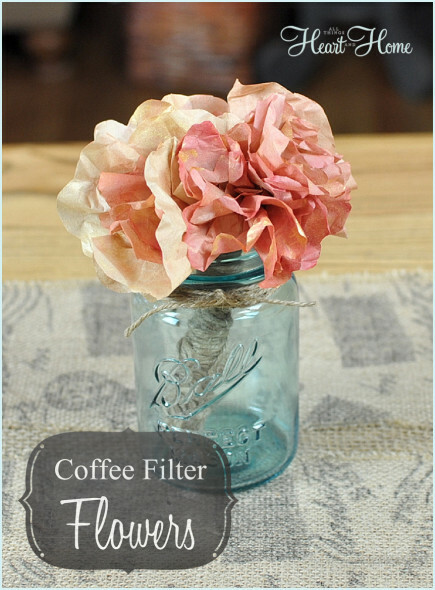 I just had to stop and look at these coffee filter flowers since they were the link next to mine on Monday Funday linky party! 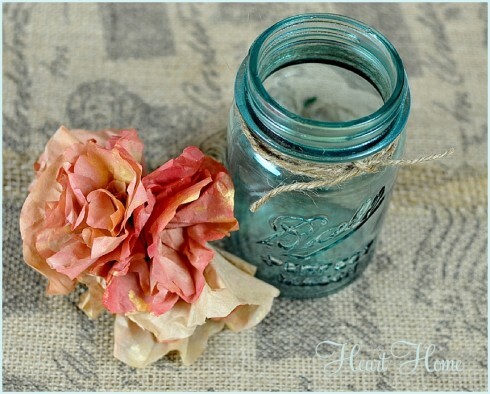 These are super cute and look fun to make! Thanks for sharing! 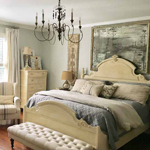 Does it matter what kind of paint you use? Beautiful, can’t wait to try this. I read your other post about the wreath making with these gorgeous babies and i have everything except the floral wire and picks so I’m off to JoAnnes to hopefully find them. Sadly, i don’t have a Micheals or Hobby Lobby or anything crafty around here ! Certainly would be the perfect place to open a craft store, lol. Definitely pinning, thanks so much.